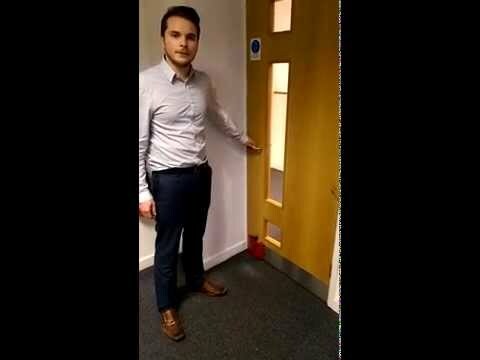 Fire doors are often propped open in many workplaces and buildings, but this is both poor housekeeping and an illegal practice which significantly increases the spread of fire. The Dorgard Fire Door Retainer has been included in our range as it offers a safe and legal way for you to hold fire doors open without compromising fire protection. It’s quick and simple to install and comes with the fixings needed to secure it to any fire door. 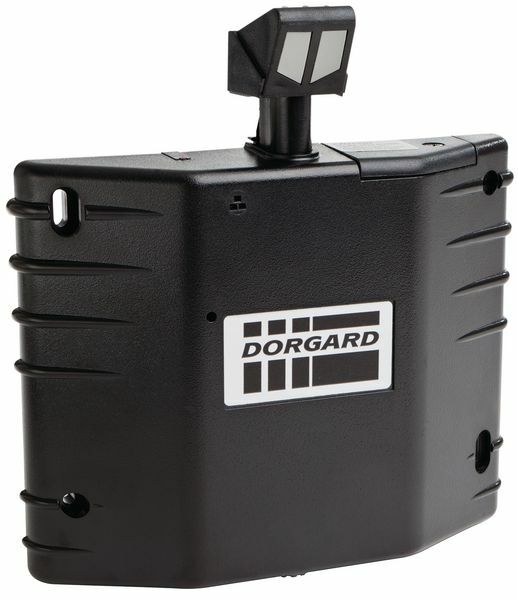 When your alarm sounds over 65 decibels, Dorgard will release, allowing the fire door to close. Dorgard is fitted and fire door is propped open. Fire alarm sounds at 65 db. 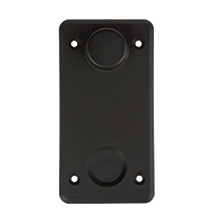 Dorgard is triggered and releases, enabling the fire door to close. 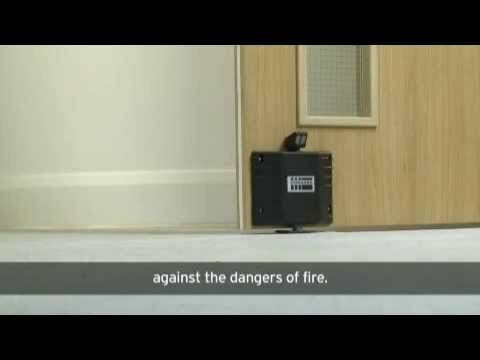 Dorgard will reset 10 seconds after releasing its fire door and when the fire alarm has ceased, therefore allowing the door to be held open once again. - One of my Dorgards is not releasing to the sound of the fire alarm? Check that your fire alarm sounds for at least 30 seconds and that your fire doors are free to close without any obstacles in the way. 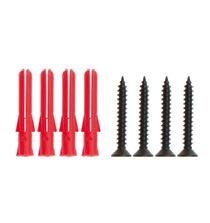 Also check that the plunger has a minimum of 10mm of down travel before the ferrule contacts the floor. In order for Dorgard to release the fire door the fire alarm needs to be louder than 65dB where Dorgard is situated. The Dorgard may need to be calibrated, take a look at adjusting the sensitivity of Dorgard in your fitting and operating guide. +One of my Dorgards is releasing to no apparent sound? 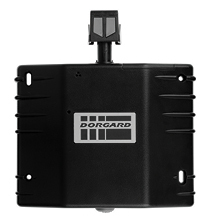 As a safety feature, Dorgard has to release to any sound that it hears as being continuous and louder than 65dB as this sound could be obscuring a potential fire alarm. Check that Dorgard is on the side of the door that closes into the door frame and that Dorgard will release if the door is pushed in the direction of opening. Dorgard does release every 7 days as part of its self-testing routine so this may be why the door closed. 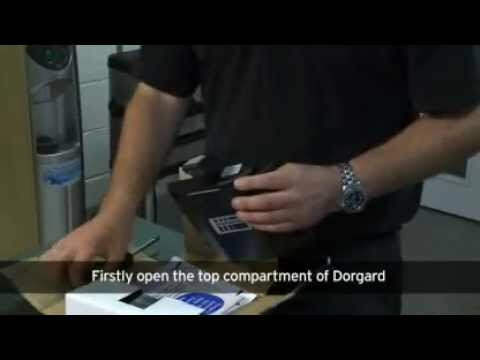 The Dorgard may need to be calibrated, take a look at adjusting the sensitivity of Dorgard in your fitting and operating guide. + Why is the door creeping closed when the Dorgard plunger is fully depressed? Please check that the ferrule is not worn or damaged and replace this if necessary. Dorgard needs to be positioned low enough that the ferrule makes good contact with the floor when the plunger is depressed. A vertical plunger movement of 10 - 15mm is ideal. 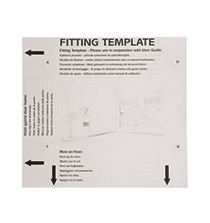 You may need to re-position the Dorgard on the door or fit the floor fixing plate supplied. It is recommended that you also check that the overhead door closer does not shut the door with excessive force. 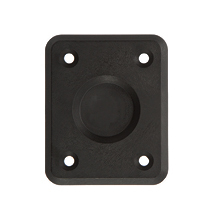 If so, fit the floor fixing plate supplied or loosen pressure on the overhead closer. 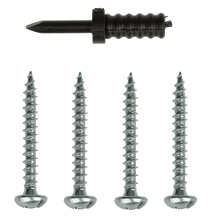 Your floor may also be a bit slippery and the ferrule is finding it hard to make good contact with the floor, you may need to fit the floor fixing plate supplied to stop this happening. - Why is the Dorgard I have installed not holding the fire door in an open position? Check that the plunger is depressed while standing side on; also check that the battery compartment is closed and that the batteries are working. Dorgard also needs to be positioned low enough that the ferrule makes good contact with the floor when the plunger is depressed. A vertical plunger movement of 10 - 15mm is ideal. Check that Dorgard is installed on the side of the door that closes into the door frame. - As Dorgard is acoustic would it close the doors when our school bell rings? No. Dorgard listens for a continuous sound and will verify the alarm over a 20 second period and then release the fire door. School bells generally last for a couple of seconds so this shouldn’t affect your Dorgard. - Should I use a particular type of battery and can I use rechargeable ones? Rechargeable batteries are not to be used. 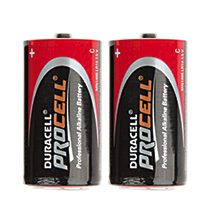 Seton recommends the continued use of Duracell Pro-cell batteries which are supplied with the unit. - Residents in my care home want to keep their bedroom doors open, is it OK to install Dorgards on these doors? Yes. Dorgard can definitely be installed on bedroom doors and allows residents to have the door open a little way or fully open as it holds the door open at any angle. Residential care homes may even claim the VAT back on Dorgards that are installed on bedroom doors. Service: Very helpful and friendly service. Daniel Bates thank you for your help. Product: Exactly what I was looking for, perfect! Service: Though I was quoted around 150 pounds more by Seton than by other companies, the customer service from Laura Leech was extraordinary bringing me to do business with Seton instead of other companies. Thank you so much for the help, and I hope she is recognized for her wonderful service! I look forward to working with your company again! Product: Exactly what I was looking for. Thanks!